We believe an optimal educational program depends on a close faculty-resident relationship and a curriculum that provides a diverse clinical exposure and fosters a progression in resident responsibility and independence. The University of Florida residency curriculum has been carefully designed to ensure this. 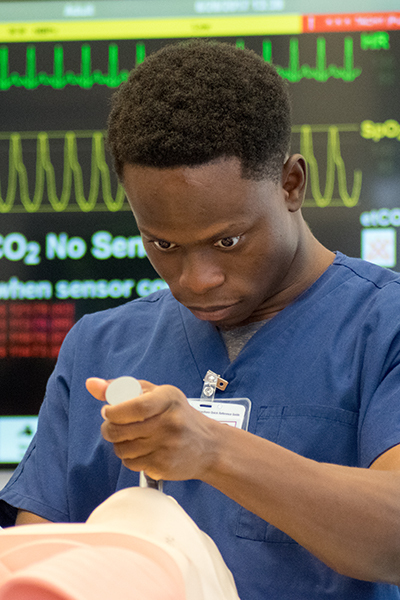 Our program is approved by the Accreditation Council of Graduate Medical Education (ACGME) for 22 residents per clinical anesthesia year, and we currently have 85 residents from the PGY-1 – PGY-4 level. We offer 20 categorical positions for residents to match into their PGY-1 year and one advanced position for those matching to begin in their PGY-2 year. There are 13 four-week rotations each year. The curriculum is based on ACGME requirements and program aims, and stays current with input from the Program Evaluation Committee and the resident-led Education Committee. Read more about the Anesthesiology Residency Program curriculum.